Low-cost carrierIndiGohas suspended two staffers for allegedly misbehaving with a woman passenger at LGBI airport in Guwahati. The incident involving lawyer Krishna Sarma happened on Sunday wherein her mobile phone was allegedly snatched by a staff to delete certain pictures clicked by her. Regretting the “unpleasant experience” of Sarma with its airport staff, IndiGo said, “based on her complaint, has suspended the two employees involved in the incident pending investigation”. When contacted, Sarma said, “I am satisfied that IndiGo responded with such alacrity”. But, she refused to talk further about the incident. 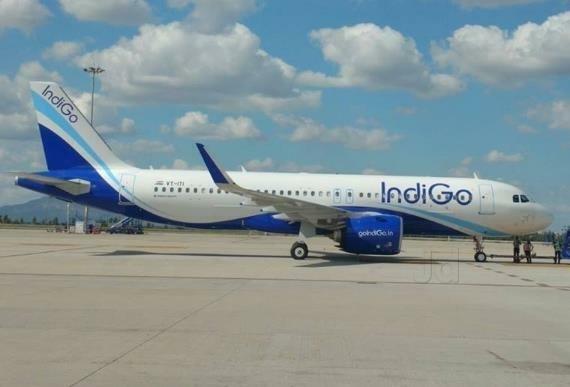 In its statement, IndiGo said the airline has been in touch with Sarma and regretted the inconvenience caused to her”In fact, we have kept her informed of the immediate steps that IndiGo has taken following her complaint,” the statement said. According to a message circulating on social media, Sarma clicked some pictures when her luggage was being screened again and again. After checking her bag, one of the staffs allegedly said she had to delete the pictures. Despite the passenger saying that the pictures have been deleted, the staff forcibly snatched her phone and proceeded to delete the same from ‘recently deleted’ folder in the phone, as per the message purportedly attributed to Sarma.